A quick “thank you” email can go a long way. But it’s destined to be deleted. And a Starbucks gift card is nice, but it doesn’t lead to love. There are a million reasons to say thank you. But since you’re reading a marketing blog, let’s start with the marketing-related reasons to say thanks, and then make a list of marketing-related ways to show gratitude. The collaborator. The client. The referrer. And the writer who wrote about you. Gratitude is at the center of blogger relations, influencer marketing and all of modern-day digital PR. That writer or editor gave you their time, their attention and that coveted press mention that helped so much. They call it “earned media” but really, it’s given. And when someone gives you something, you know what to do next, right? You say thank you. Good news! There are now more ways to say thank you than ever. This post is a quick look at 15 ways to show your gratitude, online and offline. We’ve listed them in order of simple to powerful. A fast, easy way to show a bit of thanks. It often just takes a single click to share something they’ve done on the network of your choice. But a sincere act of gratitude involves more than a click. Take a moment to look through their social streams and recent content. Find things that they’re passionate about and actively promoting. These are the best things to share. And of course, if they included you in their content, sharing it with your audience is a polite way to show that you’re grateful. Make sure to mention them when you share so they’ll see it! A bit more thoughtful than just sharing, write a comment. Many bloggers prize comments above all else. It’s the most direct feedback of all. A comment breaks the silence in marketing. It’s often the start of a conversation. And conversation is the start of friendship. So leave a comment on a recent post for someone you’re grateful for, then share it. Say thanks and show that you’re a fan at the same time. Endorse them in LinkedIn. As long as you’re connected, you can endorse them for any of all of their skills. But keep it relevant. If you have no experience with their acupuncture skills, it would be weird if you endorsed them for this skill. There are lots of other ways to give thanks in LinkedIn. LinkedIn endorsements are a feedback loop. 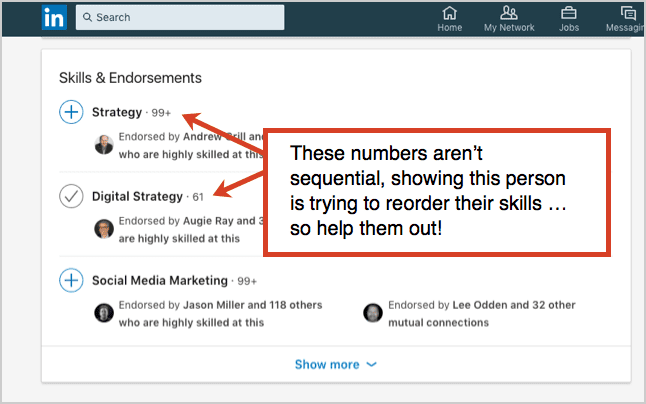 A few people endorse you for a skill, so LinkedIn suggests that others endorse you for the same skill. Pretty soon you look like Microsoft Office is your specialty. The solution? Re-order your LinkedIn skills. But the feedback loop isn’t broken until people endorse you for that skill. So it’s a kindness to endorse people for the skills that they are themselves trying to promote, pushing those to the top, getting the feedback loop to work in their favor. To see which skills the person is promoting, scan the list of their endorsements. If the numbers aren’t sequential, then they’ve changed the order manually and they’re actively promoting a skill. They’re asking for help! This is an especially nice thing to do for young people, people in career transition or anyone new to any industry. Here’s a trick that will put you in the top 1% of marketers and networkers of all kinds: lick a stamp! Do what 99% of people don’t do and send a handwritten thank you note. Nice to see you in my mailbox, D Fish, Stephanie and Yvonne! They only take a minute to write, but they stay on the profile forever. Take five minutes to write a thoughtful, detailed LinkedIn recommendation. This is a very powerful way to give thanks. LinkedIn makes it easy to collaborate on recommendations. They can request changes, reject it or accept it as is. LinkedIn also suggests that they write one back for you. Note: This should be reserved for people you collaborated with. It’s not appropriate to give a professional recommendation for someone that you haven’t worked with at least in some way. People ask for recommendations all over the web. Quora, Reddit and LinkedIn groups are common places to find requests for recommendations. Go to any of these sites and search for the skill set of the person you’d like to thank, you probably find people looking for that skill and asking for recommendations. Now just drop in a quick suggestion, guiding the questioner toward the person you’re hoping to thank. Here’s what it might look like on Reddit. This one wasn’t intended as a thank you, but it might be my favorite recommendation of all time. I truly appreciate it, oldstauf, whoever you are! Thank you, Gini Dietrich of Arment Dietrich for this thoughtful email! If you’re not sure if it would be a welcomed introduction, just reach out and ask first. Ah, the thank you gift. And at certain times of year, they’re common and almost expected. If you’re thank you can also be called a “promotional product” is it really the best form of gratitude? Better than nothing, I suppose, but not the best way to say thank you. Here’s a thought from a gifting expert. Interesting idea, isn’t it? Make it personal. Brand it with their logo, not yours. Look at this nice bamboo cutting board I got in the mail yesterday. I’ll think of Terry Herr every time I use it. Thank you, Terry! Warning! Thinking of sending alcohol? Remember, not everyone drinks … but if they do, consider champagne. It’s a great gift for the person who has everything. There is no such thing as too much champagne. Amazon book reviews are hard to win and very valuable. They are a ranking factor in Amazon search, so good reviews directly affect the visibility and sales of a book. Authors covet them dearly and are always grateful for a positive review. So if you’d like to thank and author and you’ve read and liked their book, writing a review is a very powerful way to do it. It’s worth more than you might think. Amazon also allows you to go above and beyond by creating a video review. Our book received one of these from Douglas Burdett at Artillery Marketing and it still makes me blush. I’m truly honored that he took the time to create this. I’ll always be grateful to Douglas for this. And I highly recommend his Marketing Book Podcast. It’s a great way to find gifts for marketers. As with Amazon, reviews in iTunes are also hard to come by. So a nice iTunes review is a lovely way to say thank you to that special podcaster in your life. This doesn’t require buying or reading a book. Just listen to a few episodes and if you sincerely enjoyed them, show your appreciation with a quick review. Are they a local business? If so, this one goes a long way. This is another review that is both visible and valuable. It’s worth so much more than a thank you email. 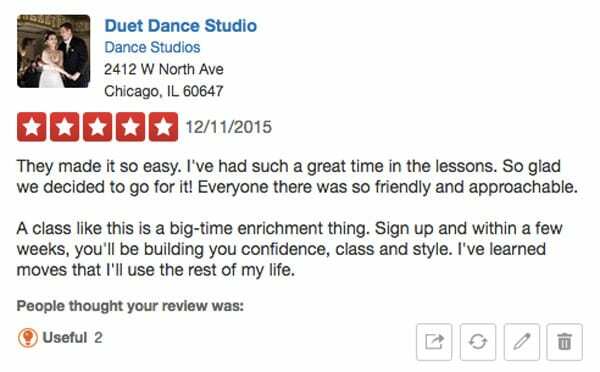 Here’s a sincere, legitimate thank you in the form of a Yelp review to someone to whom I’m grateful, Szewai at Duet Dance Studio. LinkedIn, Amazon, iTunes and Yelp are all types of social proof. They’re lovely, but they’re all stuck in those platforms. But a testimonial can be used in many ways. It can be used in context on a website. Start with a short impact statement. Use concise, direct language and unexpected words. End with a mini-call to action. Here is a testimonial I gave to my friend, Oli Gardner. Notice how each of these three testimonials meet the above criteria. 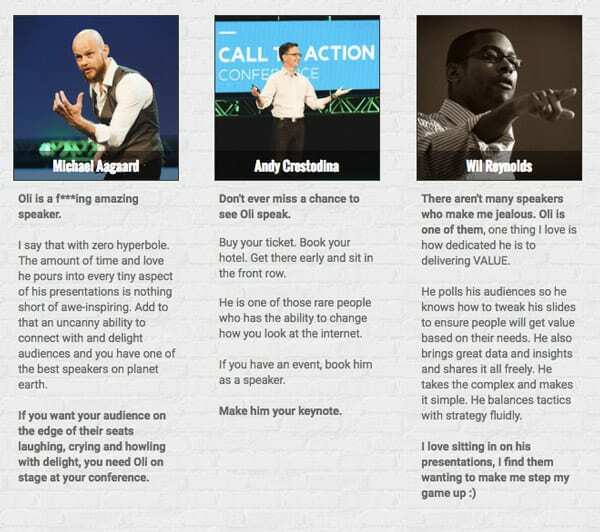 Here’s a complete guide on writing website testimonials with examples. This is big. Think for a moment about the phrases that they may be hoping to rank for, then use that phrase in the testimonial. If they put the testimonial on a page relevant to the phrase, it may help that page rank in search engines. A keyphrase-focused testimonial is one of the few things in marketing that boost both traffic and conversion rates! What people and companies are they targeting? Who do I know in my network that might need this service? Getting any ideas? Spend ten minutes. Make a few calls. If you make a connection for them, it’s worth more than 10,000 shares, than 1000 recommendations, than 100 reviews. Send a qualified lead. For many of you, these acts are performed many times per day. The better you are at expressing your gratitude, the more likely you’ll have reasons to give thanks in the future. Ideally, the thank you aligns with something that’s relevant to them personally, and timely to what their current needs are. However you do it, be sure to show your appreciation. Skip this at your peril. No one likes an ingrate. Anyone you’d like to thank? Let’s make the comments here a place of gratitude. Or better yet, don’t comment here! Go out and express your gratitude for someone special! I appreciate the comment, Jennifer! Enjoy the holiday! 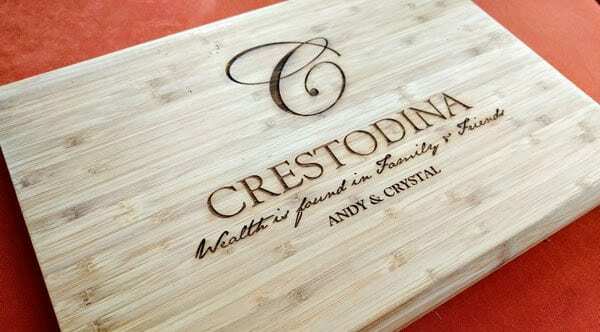 Andy Crestodina always has great advice. I am quite sure he is a Internet guru. Forget everyone else you are following. 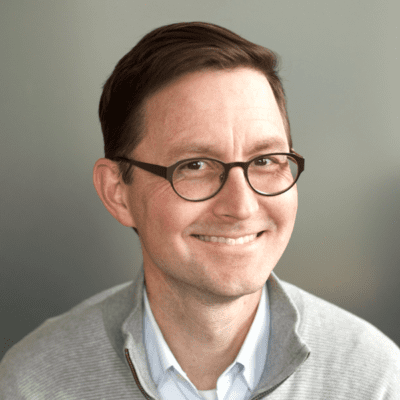 Crestodina will lead you into the future of Content Marketing. You just made my day, Jerry. A little note like this means the world to us. Thank YOU for taking the time to drop by, read a bit and giving us your feedback! You are welcome. Your information here is golden. Your advise has helped me to get recognition I couldn’t have gotten otherwise. Thank you. 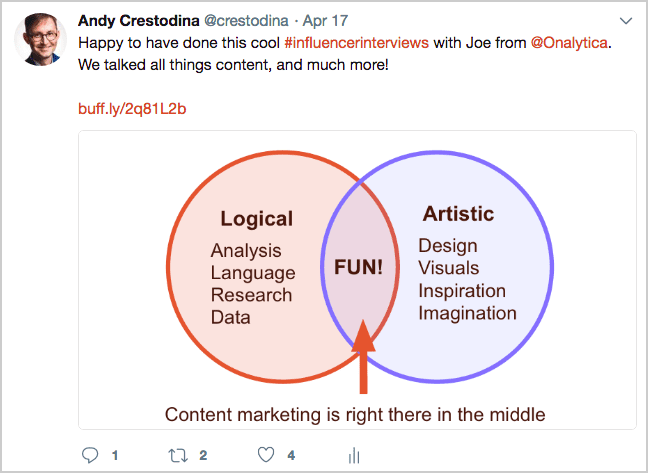 Thank you Andy for you and Orbit Media Studios showing up in my Thursday email inbox and always sharing some great nuggets of digital wisdom. From Content Marketing to the details of SEO, I appreciate all of your shares. Best pixels my friend. So nice to see you here, John! Thanks for the kind words. And Happy Thanksgiving! Merci merci merci 🙂 As we say in French : 1000 mercis pour cet article. Wow, sounds good! That is a very fantastic idea to say thank you. I follow as well. I like it. Thanks so much for this info. Thank you for your stuff. Massive thanks. Great suggestions, Andy! A small token of appreciation in any format goes a long way, in my opinion. Terrific stuff, Andy. I’m pretty good at this, but as always you help make me better. Rare is the occasion when I don’t learn something of substance when I dive in for five minutes on something you’ve created. For that, I thank you! Wow Andy! I recently signed up for your marketing advice emails and must say that every time we are considering focusing on a new campaign, an email from you pops up in my inbox, and it is always relevant to what my team is working on! Thanks again! Thank you for this post. I recently updated a post on Likeability https://careerpivot.com/2018/are-you-likeable/ and part of this is creating good Karma. When you say thank you, in a way you are creating good Karma by making someones day. I LOVE this article! As a start-up small business owner, these tips are very helpful. Often I find myself wondering whether or not to share or comment. You have encouraged me to do more! As usual Andy, your insight is amazing. How do I find myself overlooking things like this? I’m getting to work on a long backlog of people that should have received more thanks, long ago. Excellent reminders about ways to express gratitude in a digital world! I still try to be in the 1% that puts a stamp on their thank you as well. I think it’s so rare that it makes an impact. Really appreciate this article! Thoughtful, original, thorough, helpful. Thanks, Andy!